Laser / inkjet Labels - ProLabel brand # C1705 with rounded corners. 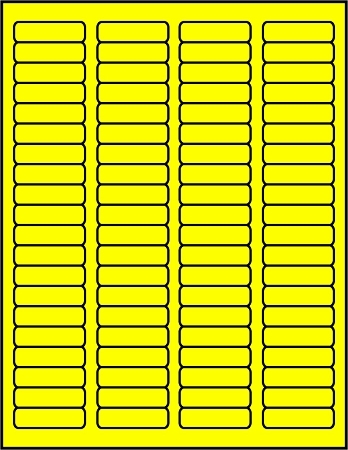 Standard adhesive, Eighty labels per 8 1/2" x 11" sheet. They match the 80 up sheets found in most popular software, and we also sell software with the template for these labels.